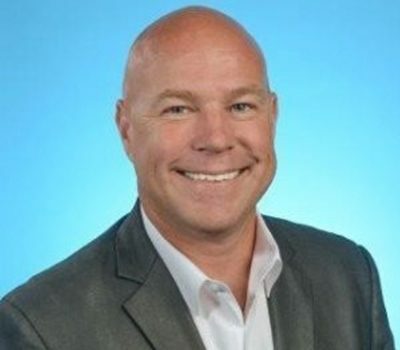 Anthony “Tony” Southard is Senior Director, Digital Commerce Sales for The Hershey Company. In this role, he is responsible for leading Hershey’s digital customer-focused organization to drive profitable growth and deliver sales targets across all U.S. retailers with digital commerce platforms. He is also responsible for educating and embedding digital commerce knowledge and capabilities within the U.S. Sales Organization, while collaborating closely with cross-functional partners in a variety of areas, including Marketing, Media, Sales Planning and Operations, to help achieve Hershey’s strategic goals. Prior to his current role, Southard resided in Puerto Rico and served as GM, Latin America & Caribbean Exports, and was responsible for delivering profitable growth in all export markets across the Caribbean, Central America and South America, while leading the functions of Sales, Finance, Marketing, Shopper Marketing, Category Management, HR and Operations. His previous roles included Senior Director, Sales – Asia, Europe, Middle East & Africa (AEMEA), where he lived in Singapore and led sales strategy, customer and trade channel development to deliver profitable growth and establish sustainable, long-term go-to-market capabilities. Southard joined Hershey in 1996 as a Sales Representative in the Chicago area. Since that time, he has held a variety of positions including National Director, Sales – Mexico (Guadalajara), Team Lead – Sam’s Club (Bentonville, AR) and a variety of home office and field sales management positions, such as Region Manager, District Manager and Key Account Manager. Southard holds a bachelor’s degree from the University of Illinois, Champaign-Urbana. He is also a former U.S. Peace Corps Volunteer, Czech Republic (1994 – 1996), who speaks both Czech and Spanish fluently. Southard, his wife and two dogs reside in the Hershey, PA, area.